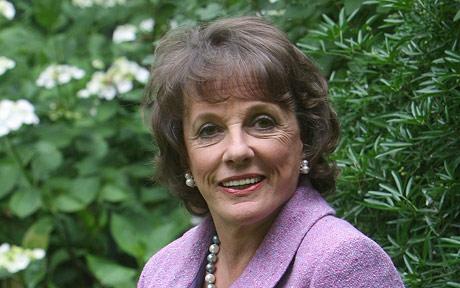 Esther Rantzen has admitted she blames herself for raising fears of paedophiles to such a degree that adults are now scared to help crying children. The veteran broadcaster, who founded the counselling service ChildLine, warned that young people are now being harmed by the widespread suspicion that anyone who has contact with children could be a child abuser. Her fears were confirmed by an experiment she helped conduct in a busy shopping centre, which found that 99 per cent of adults chose to walk on by rather than going to the assistance of two children who looked lost and distressed. Even the handful who did stop admitted they were worried that people would assume they were trying to abduct the children. This comes amid growing concern that in the wake of high-profile cases such as the disappearance of Madeleine McCann and the Soham murders, all adults are now viewed as paedophiles unless they can prove themselves innocent. There are now no men under 25 teaching in state-run nurseries, such is the fear of being branded a child molester, while from next year 11.3 million adults will have to have their backgrounds checked by the Independent Safeguarding Authority before they can work or volunteer with under-16s. Even malicious allegations made against teachers or priests must now be kept on file until they retire, while council officers are questioning the motives of any lone adults who walk through a public park. Rantzen asked of the results of the test, to be shown on TV tonight: "What does that say about our attitude to children now? Have we unwittingly put up barriers protecting ourselves, but harming them? "It seems to me that many adults may now actually be putting children at risk, because we are so afraid someone will suspect us of having sinister motives if we help them. "I blame myself for a lot of this. Thirty years ago most people didn't realise that abuse ever happened, so abusers just got away with it. But in 1986 we made a programme called Childwatch in which we pointed out that abuse is far more common than most people realise, but of course it's a secret crime, it happens mainly in children' homes, within the family. "Now people are treating abuse as if it goes on behind every tree." She added: "The tragedy is there are people who hurt children, and we must protect them against pain and abuse. But unless we hang on to our common sense the whole of child protection is going to suffer, so many of these rules and attitudes are designed to keep adults safe, to keep jobs safe, to keep organisations safe, to keep councils safe. Our priority should be to keep children safe." In the experiment, to be shown on ITV1's Tonight programme, two child actors were left alone in a London shopping mall looking upset while hidden cameras were set up to observe how many people offered them assistance. A total of 1,817 people walked past the children, a seven-year-old girl and a nine-year-old boy, but only five did something to help. Almost 500 people walked past the boy before one of them informed the shopping centre manager about his plight, and more than 100 ignored the girl before one of them stopped to ask if she was OK. 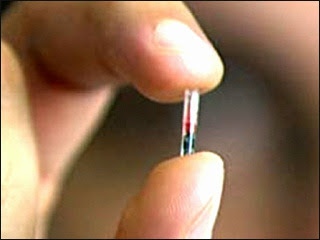 In addition, the five adults who did stop to help all admitted they had been worried their would be seen as suspicious. Mark Williams Thomas, a child protection expert and former policeman, said: "It does concern me that no member of the public is even asking this child are they OK. They actually had to walk around them."